To subscribe to one of the following mailing lists, simply click on the link which will open your e-mail program. Type subscribe in the body of the message. Please ensure that your signature block is removed prior to sending it. You will receive a confirmation message that you've been subscribed. PAFULTON-L@rootsweb.com is a mailing list open to anyone researching in Fulton County, Pennsylvania. PAFULTON-D@rootsweb.com is a digest of the above mailing list, for those who want their mail less frequently. If you have a web site with ties to Fulton County, please let me know about it and I will link to it. Mother Bedford and the American Revolutionary War (At that time what is now Fulton County was part of Bedford County). We will be working on a searchable cemetery database. In the meantime, if you have a high-bandwidth connection, you are welcome to download this cemetery listing. We want to thank the Fulton County Historical Society and Glenn Cordell for making it available, and especially this list of volunteers. Recently a correction has been made to the list, a photo of the authenticating family Bible is available which corrects the birthday of Nelson Hess. Fulton settler William Patterson (1749-1846) is buried at Big Spring Graveyard. Here is some information about him. US Gen Web has a 1916 Fulton County Atlas. Other maps of Fulton Co. are here. 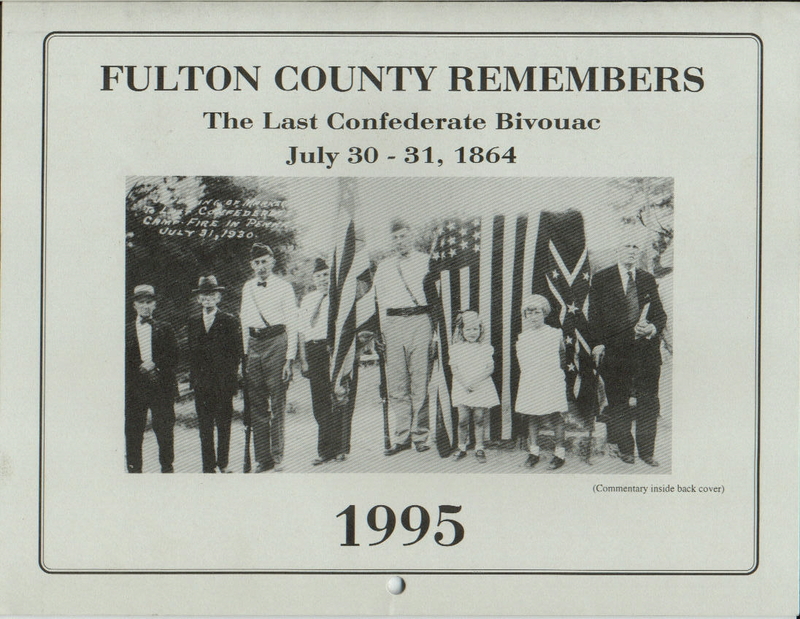 Here is a picture of the dedication of the monument to the last Confederate bivouac in Pennsylvania, taken in 1930. The man on the right is my great grandfather, David Hunter Patterson (also pictured here in 1920). Here is a picture of the Historical Marker near the Big Spring Graveyard on Route 522 south of McConnellsburg in Ayr Township. Here is a a recent photo of the Burnt Cabins Grist Mill. Here are pictures of the Humbert Mill. 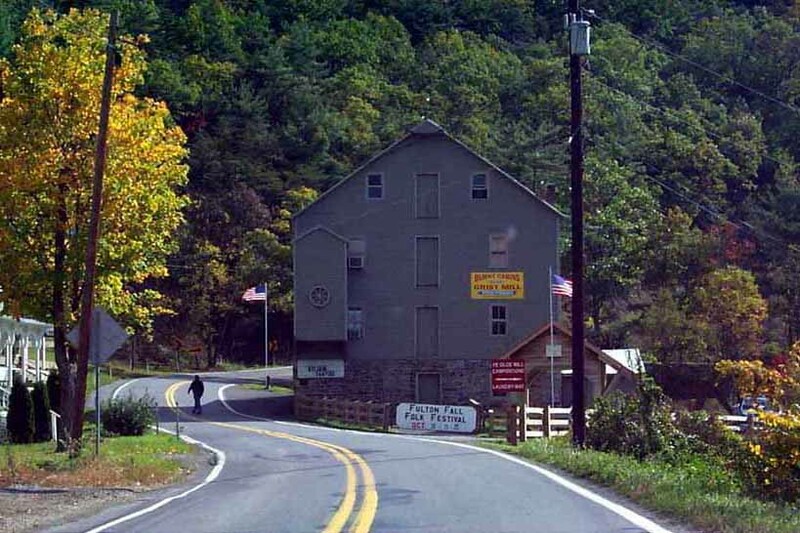 This website is part of the USGenWeb Project for Pennsylvania and is the county level site for Fulton County, Pennsylvania research. All materials located on this website are the sole property of the original contributors/file donators. You may copy this information for your own personal research but please refrain from selling it commerically or reposting it online without permission from the author. Return to the PAGenWeb Project homepage.